Spacious open concept condominium with two bedrooms and two baths on the main floor and a bedroom over garage. Wood and tile floors throughout, granite countertops, bar, stainless steel electric appliances, pantry, mud room, and laundry room. Switch-operated gas fireplace in a great room with vaulted ceiling. Two car garage, lots of storage plus two walk-in attic storage areas. Screened-in back porch. Never do yard work again, yet enjoy a beautiful neighborhood with two fountained ponds, sidewalks, clubhouse, pool, and lots of social activities with the friendliest neighbors around. 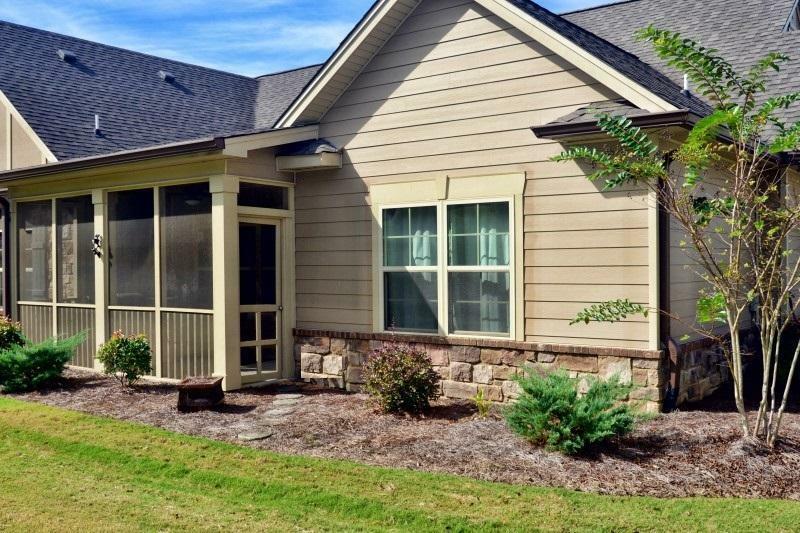 Just minutes from Hamilton Place or Ooltewah stores without city taxes.